The Orthodox Church is the original Christian Church founded by the Lord Jesus Christ and described in the New Testament. Its history can be traced in unbroken continuity all the way back to Christ and His Apostles. Today its apostolic doctrine, worship, and structure remain unaltered and intact. 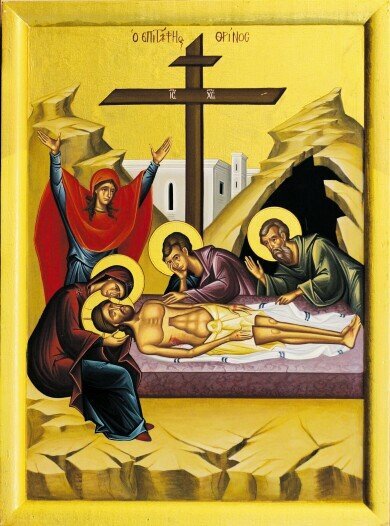 The Orthodox Church maintains that the Church is the living Body of Jesus Christ. Christianity was expressed as one Church until the Great Schism in the year 1054, where it divided between the Roman Catholic and Eastern Orthodox Churches. Further divisions from the Roman Catholic Church developed in the Protestant Reformation. The Orthodox Church has not had such a division. Worldwide, there are over 300 million members of the Orthodox faith. The Orthodox liturgy practiced today has been tenaciously preserved in its original form for almost 2000 years. The Greek Orthodox Archdiocese of America, with over 6 million members, is under the ecclesiastical jurisdiction of the Ecumenical Patriarch Bartholomew, who is the 330th apostolic successor to the church founded in Constantinople (present-day Istanbul, Turkey) by the Apostle Andrew.